You feel overwhelmed by your debt, but you’re barely getting by already. How could you possibly get out of debt without increasing your income? It’s totally possible. We’re sharing 4 tips to help you pay off debt without increasing your income. But first, it must start with a plan. Unless you make a plan for where your money is going to go, it will go everywhere except towards paying off your debts. 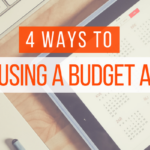 So, make sure you make a plan, first ­ here’s ours step­by­step guide for creating your first budget. Rather than try to increase your income, you can decrease your expenses. For starters, cut back on your groceries. You can also save hundreds (or thousands) of dollars every year by getting rid of cable. Don’t worry! It doesn’t mean you have to miss out on your favorite shows. There are some great alternatives to cable! Another way to cut back on expenses and save a ton of money fast is to stop eating out. Grabbing dinner on a busy night has become so customary, that in 2015, data found that Americans spend more on eating out than groceries. Eating out costs more than preparing food at home, and a little preparation on the weekend can help you prepare food for the week ahead. So, say no to restaurants until you’re debt free. And if you really want to get creative and save big, try a spending fast! You’d be surprised at how much extra cash is just laying around your house! So many people have closets, drawers, garages, and rooms full of things they don’t use anymore and don’t need. So, grab a box or some bags and start decluttering. Look for the things you don’t use anymore or the items you don’t need. Get rid of things you haven’t used in months. 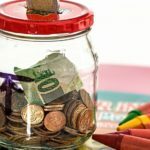 And in case you’re feeling unsure of where to start, check out our list of 19 things you can sell to get out of debt! When you consolidate your payday loans, your multiple monthly payments are combined into one, manageable, easy­to­pay monthly payment. You can also reduce your overall interest rate, and decrease (or completely waive) late fees. Loan consolidation makes it easier for you to escape the debt trap. Here’s 20 more benefits of payday loan consolidation. If you’re interested in consolidating your payday loans, contact us today! Stop taking on new debt! If you’re deciding to get out of debt, you must commit to not taking on any new debt. 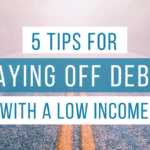 By not taking on new debt, you’re able to get a clear view of how much debt you currently have, and you can start taking steps to reduce your debt. 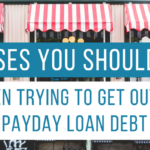 If you’re struggling with payday loan debt and are ready to escape the debt trap, we can help. Contact us today and find out how we can consolidate your payday loans to get you out of debt fast!